Satoshipoint Launch Party, ATM’s in the UK! As recently discussed,\\\\\\\\\\\\\\\\xc2\\\\\\\\\\\\\\\\xa0SatoshiPoint recently launched their first 2 ATM\\\\\\\\\\\\\\\\xe2\\\\\\\\\\\\\\\\x80\\\\\\\\\\\\\\\\x99s in London and the 1st ATM outside of London in the UK, located in Bristol. The launch party was graciously supplied by SatoshiPoint, drinks and food were freely available and of quite a quantity, needless to say, there were a few tipsy people by the end of the evening (myself included). The launch party was relatively small in comparison to bigger events and conferences held in London, numbering around 40-50 people at one time, this allowed it to be excellently open to conversations from everyone to everyone. 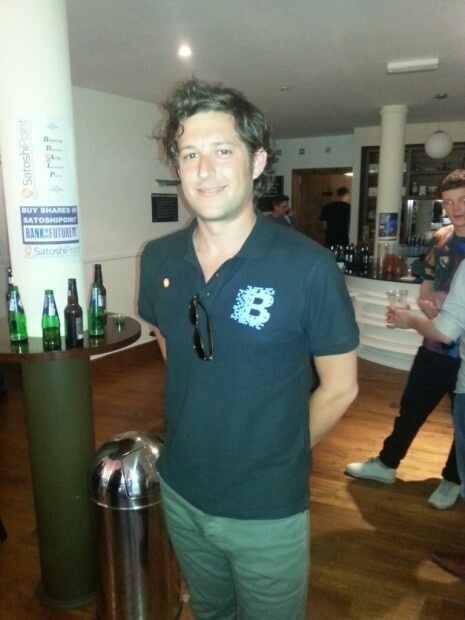 Bitcoiners mingled with new and old bitcoiners and even individuals who only had a vague idea of what bitcoin is. The event was hosted by Superfoods, representatives, Directors and CEO\\\\\\\\\\\\\\\\\\\\\\\\\\\\\\\'s from a variety of some well known and some emerging bitcoin businesses were in attendance, Blockchain, XBTerminal, BitXLiquidity, Banktothefuture, IBWT, Multibit, and local Meetup organisers and others, all gathered together to celebrate the launch of the 1st ATM outside of London and the start of a beautiful future. The ATM itself, a Robocoin machine, worked smoothly when I tested it, buying bitcoins and selling. Though sometimes there can be some delay as going through bitstamp currently requires some manual interaction and a waiting period from the bitstamp side. Halfway through the party, we all gathered to listen to the inspiring speeches that were given by Hassan Khoshtaghaza and Jonathan James Harrison (Jj), the Directors of SatoshiPoint, who were followed by Simon Dixon (Banktothefuture), then Aleksander Nowak (XBTerminal) and a last speech by Keonne Rodriguez (Blockchain). It was inspiring to learn how Hassan and Jonathan did not know each other before SatoshiPoint was dreamed of, how they met through twitter and saw in each other the same desire to bring ATM\\\\\\\\\\\\\\\\\\\\\\\\\\\\\\\'s to the shores of the UK. It reminded us all of another key factor of Bitcoin, how it has brought together individuals and how such a strong community has grown \\\\\\\\\\\\\\\\xc2\\\\\\\\\\\\\\\\xa0and continues to grow around it. The crowd applauded for each speaker, \\\\\\\\\\\\\\\\xc2\\\\\\\\\\\\\\\\xa0the general consensus that came from the speeches was that we are at the start of something amazing, something beautiful, and that we are all happy to be a part of that. During the speeches it was revealed that SatoshiPoint will be working with Banktofuture to allow potential investors to buy shares (not \\\\\\\\\\\\\\\\xe2\\\\\\\\\\\\\\\\x80\\\\\\\\\\\\\\\\x98bitcoin shares\\\\\\\\\\\\\\\\xe2\\\\\\\\\\\\\\\\x80\\\\\\\\\\\\\\\\x99) in SatoshiPoint and become a part of this emerging sector. Further information regarding this will be available once Banktothefuture have completed their redesign. Bitcoiners continued talking into the night, moving from one person to the other, networking and mingling with the beer flowing freely (though not everyone was drinking, some sensible people out there). Hassan discussed with me the next stages of growth for SatoshiPoint, and that there was some very interested people in getting a Bitcoin ATM in their location. 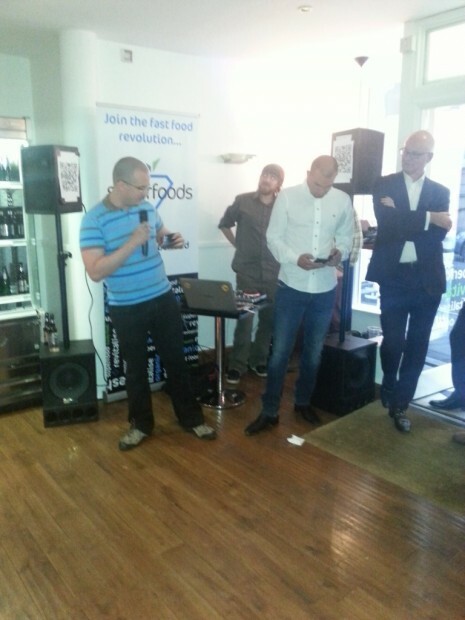 Even at the launch party people were vying for Hassan and Jonathan to look to their city next (shouts of "Cardiff!" carrying over the crowd). And throughout discussions, technical or otherwise, it was generally agreed that whatever way the wind blows and what may be next within the Bitcoin sector, and even if Bitcoin succeeds or not it surely has woken up a lot of people to an alternative than the traditional system. And let us not forget the food, it was excellent and very healthy, provided by Superfoods and their in-house chef (I do suggest trying out Superfoods if you are ever in Bristol), the general atmosphere was informal and a very friendly. The two ATM\\\\\\\\\\\\\\\\\\\\\\\\\\\\\\\'s located in London and this one located in Bristol is just the start, over the next years we can expect many more ATM\\\\\\\\\\\\\\\\\\\\\\\\\\\\\\\'s from SatoshiPoint to be branching out all across the UK. The infrastructure is still being built upon, and will be built upon for many years to come. As I discussed with Keonne, a lot still needs to be done to allow the average individual to be able to get Bitcoins easily, exchanges and other means often prove too time consuming or too technical (and time consuming to learn the technical side) for individuals who are interested. ATM\\\\\\\\\\\\\\\\\\\\\\\\\\\\\\\'s help bridge that gap with a simple \\\\\\\\\\\\\\\\\\\\\\\\\\\\\\\'put paper money in\\\\\\\\\\\\\\\\\\\\\\\\\\\\\\\' or \\\\\\\\\\\\\\\\\\\\\\\\\\\\\\\'get paper money out\\\\\\\\\\\\\\\\\\\\\\\\\\\\\\\' tactic, they (ATM\\\\\\\\\\\\\\\\\\\\\\\\\\\\\\\'s) are viewed as a key infrastructure point for the development of the Bitcoin sector. Hassan and Jonathan had this to say on the future development of Satoshipoint. 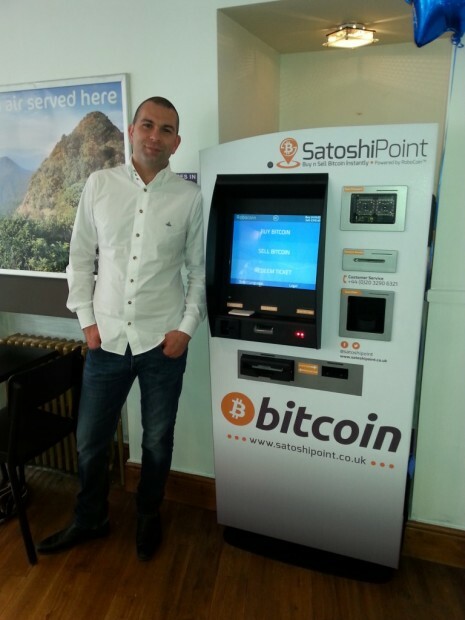 We will be expanding across the UK, if you wish to get in touch with us and discuss getting a Bitcoin ATM in your location, please feel free to contact us through our contact page on SatashiPoint.co.uk, if you are interested in getting directly involved and having a stake in SatoshiPoint then visit\\\\\\\\\\\\\\\\xc2\\\\\\\\\\\\\\\\xa0banktofutures website once they have relaunched ~ JJ & Hassan. The Bristol SatoshiPoint ATM is located within the Superfoods store, 25-27 St Stephens Street, a 10-15 minute walk from Bristol Temple Meads (train station), located right in the center of Bristol.